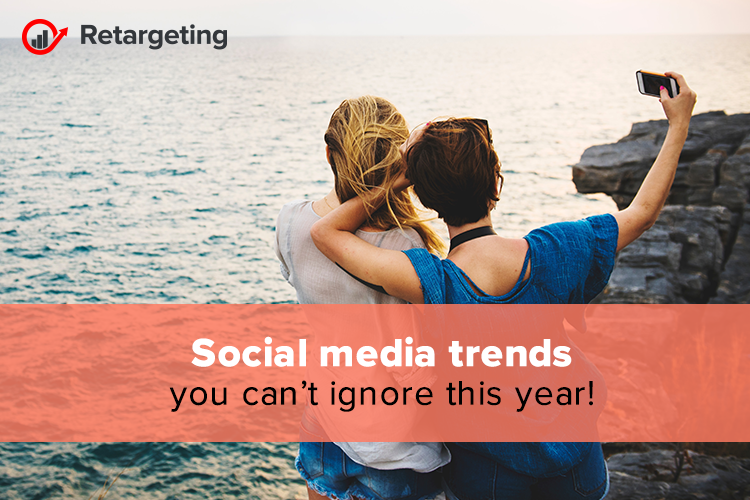 Social media trends you can’t ignore this year! Social media platforms have evolved into full-blown communication channels. As a consequence, more brands are relying on these platforms to reach their target audiences. Consumer attention is scattered across various social platforms, not to mention other online diversions. Brands that hope to capture consumers’ attention and bucks need to keep in touch with how their audiences utilize these platforms. The bottom line is that, as trends evolve on social media, so must the corresponding marketing. Social media’s popularity is rooted in the fact that it allows us to share our life experiences with friends and families. We get to tell our stories through our posts, and we get to see a snapshot of everyone else’s lives through our news feeds. This opens the door for brands to share more human stories of their own, which will inspire audiences to try out their product. Storytelling feels real, immediate and personal, but it also demands a mix of more time-intensive video, images, and graphics, and requires brands to be more creative. Along with honing their human stories, businesses are going to need to build a strategic narrative behind their brand. Brand narratives need to be compelling and lead audiences to action. Your brand story needs to be inspiring and stand out against other social media content. Personal branding is a must on social media. Putting a real, human face to a brand is key to building trust and loyalty, especially for small businesses. Personal branding gives a business a human element that will naturally connect customers and make the brand seem more relatable. Businesses that learn to foster their human element will have a real advantage over those who hide behind a logo. One popular way of humanizing a business is to promote the personal brand of the business owner or a high-level leader. This can be done through guest blogging, podcasts, and webinars. Giving the public an up-close view of the company’s leader can strengthen its brand reputation. The selfie culture continues to flourish on social media, with the popularity of selfie photo evolving into the self-recorded video. Like the selfie photo, the selfie video allows users to capture a moment in time, but in a deeper and more personal way than a photo ever could. It tends to be short and feels more immediate than a written post with a photo. While brands talk about their customers and audiences, the reality is that most businesses will have multiple audiences. Segmentation is the process of organizing your audience into manageable groups so you can tailor your messaging and communications to the preferences of each group. Social media is most effective when you segment your audiences so you can be relevant to the right groups of people at the right time. Customers have come to expect brands to tailor special offers and discounts to their wants and needs. To keep up with expectations, businesses need to step up their game when it comes to targeted advertising. Brands will increasingly turn to hyper-targeted personalization to reach their audiences. This is often achieved through retargeting or remarketing ads. Ever wonder why you’re seeing an ad on your social media site for something you were shopping for earlier? That’s hyper-targeted personalization at work. YouTube Stories: A new promoter or a fail? Reach your social media potential!